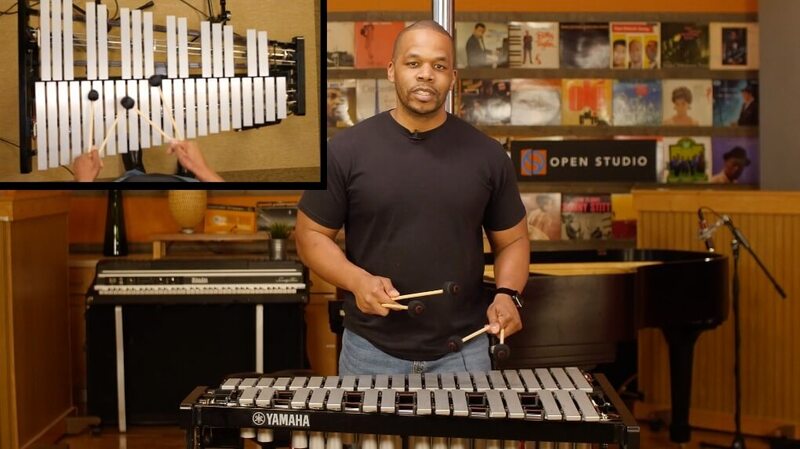 Master vibraphonist and educator Warren Wolf teaches you how to voice chords in a progressive, step-by-step approach that will give you the foundation of modern jazz harmony. In no time you’ll be comping over 2-5-1’s and voicing tunes like a pro. And with our Living Notation technology (and downloadable workbook), follow Warren’s exercises in real time with moving, interactive notation. Get started now. Warren Wolf is a multi-instrumentalist from Baltimore, MD. From the young age of three years old, Warren has been trained on the Vibraphone/Marimba, Drums, and Piano. Beginning with classical music, Warren had studied classical composers from Bach, Beethoven, Mozart, Paganini, Brahms, Vivaldi and Shostakovich. Warren also studied ragtime music learning music from the songbooks of Scott Joplin, Harry Brewer and Geroge Hamilton Green. In Jazz, Warren has studied artist and composers from Charlie Parker, Miles Davis, Duke Ellington, Louis Armstrong, Freddie Hubbard, Clifford Brown, Herbie Hancock and many others. Warren attended the Peabody Preparatory for eight years studying classical music with former Baltimore Symphony Orchestra member Leo LePage. During his high school years at the Baltimore School for the Arts, Warren studied with current Baltimore Symphony Orchestra member John Locke. After graduating from Baltimore School for the Arts in June of 1997, Warren headed north and enrolled at the Berklee College of Music in Boston, MA. During his time at Berklee, Warren studied with Carribean Jazz Vibraphonist Dave Samuels for seven of eight semesters.One semester was spent with vibist Ed Saindon. During his time at Berklee, Warren began to explore deeper into jazz. Some musicians who’ve helped Warren reach his musical goal during his time at Berklee were musicians such as Jeremy Pelt, John Lamkin, Darren Barrett, Wayne Escoffery, Richard Johnson, Kendrick Scott, Walter Smith, Jason Palmer, Rashawn Ross and many others. Through those musicians Warren became an active performer around the Boston area, gigging frequently on the Vibraphone, Drums and Piano. One of the highlights of Warren’s stay in Boston was co-leading a quintet with Boston-based trumpeter Jason Palmer at the historic jazz club Wally’s Cafe. Warren was the house drummer at Wally’s for two years, performing every Friday and Saturday. After graduating from Berklee in May of 2001, Warren became an active musician on the Boston local scene. 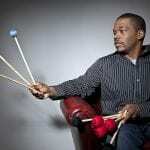 Warren was hired in September of 2003 to become an instructor in the percussion department at Berklee College of Music. Warren taught private lessons on the Vibraphone and Drums, as well as teach a beginners keyboard class for entering freshman drumset majors. After two years of teaching at Berklee College of Music, Warren headed back to Baltimore to start his main goal of becoming a full time performing musician. Since leaving Berklee as a teacher, Warren has landed the piano duties performing in the Rachael Price Group. Recording and touring with Rachael, Warren has had the opportunity to tour throughout the entire Unites States of America. Warren is currently the drummer of choice for Alto Saxophonist Tia Fuller, who tours with internationally renowned pop star Beyonce Knowles. Warren is also a member of the Donal Fox Group which includes bassist John Lockwood and drummers Dafnis Prieto and Terri Lyne Carrington. Also, Warren tour and perform with Bobby Watson’s “Live and Learn” Sextet, Karriem Riggins “Virtuoso Experience” and Christian McBride & “Inside Straight”. With these three groups Warren has traveled the world. Warren has performed throughout the United States of America, South America, Canada, Italy, Spain, Amsterdam, Rotterdam, Scotland, London, Greece, Singapore, Thailand, Jakarta, Bangkok, Tokyo, Paris, Moscow and many other countries. Musicians that Warren has played with or recorded with are Wynton Marsalis and The Lincoln Center Jazz Orchestra, Jeremy Pelt and “Creation”, Nicholas Payton, Tim Warfield, Adonis Rose, Donal Fox, Anthony Wonsey, Aaron Goldberg, Cyrus Chestnut, Lewis Nash, Willie Jones, Eric Reed, Mulgrew Miller, Terri Lyne Carrington, Yoron Israel, Larry Willis, David “Fathead” Newman, Stefon Harris, Reuben Rogers, Kevin Eubanks, Curtis Lundy, Steve Davis, Duane Eubanks, Ron Carter, Wycliffe Gordon, Robert Glasper, Esperanza Spaulding and many others.